Bayview Hospital Launches New Payment Initiative For Patients – PVH Group Inc.
Bridgetown – Bayview Hospital has partnered with Republic Bank to launch a unique new credit card initiative to assist patients with their medical expenses. 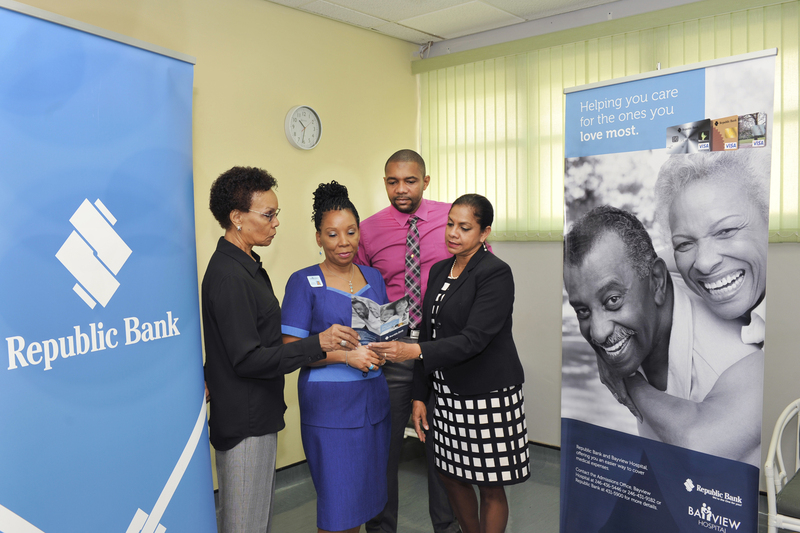 It is the first time in Barbados that a bank and a medical institution have teamed up to provide patients with a special card facility to cover fees relating to procedures conducted at the Hospital. Bayview’s Hospital Administrator, Winifred Edwards says that the Hospital is proud to offer the special facility to help ease financial hardship for its patients. “As we move forward under new ownership, Bayview is committed to taking on new and innovative approaches to healthcare. This new credit card initiative shows we are continuing to strive to be the leading healthcare facility on the island, in all areas of patient services,” she said. “We encourage all doctors to make their patients aware of our new initiative”. Susan Torry, General Manager, Retail Banking at Republic Bank, echoes these sentiments. “We are pleased to be a part of this unique partnership with Bayview Hospital. This is an exciting first for Barbados, and we will work closely with the Bayview team to enable their patients to apply for Republic Bank credit cards to cover their medical bills,” she said. The card will look like a normal Republic Bank credit card, but unlike traditional credit cards, it will have special conditions for Bayview Hospital patients, including a quick approvals process – approximately one business day for limit increases, and within three business days for new credit card applications. The first year’s membership fee for each new Republic Bank credit card will also be waived. Accounts can be paid via RepublicOnline, providing customers hold other Republic Bank accounts, which would give patients immediate access to their funds. Card applications will be facilitated in person, and uniquely via Skype or Facetime. Application forms are now available from Bayview Hospital. The hospital is also going one step further and will deliver the completed application documents to Republic Bank daily for processing. Republic Bank credit card holders also qualify to earn quarterly bonus points that can be redeemed at any local merchant with a Visa credit card facility. For more information, visit the Republic Bank website.